After breakfast we said goodbye to the kids as they headed back to Houston and work. We'll see them again in a few days. We decided depart the interstate again and travel south through the hill country of mid-western Texas. The drive was lovely passing many small and historic old towns. We drove through Crawford where George and Laura Bush have a ranch. The town of Meridian had a county seat building in the town square that was amazing. We reached New Braunfels late afternoon and settled into an RV park right on the Comal River. The park was quiet and we were given a site right on the river bank. 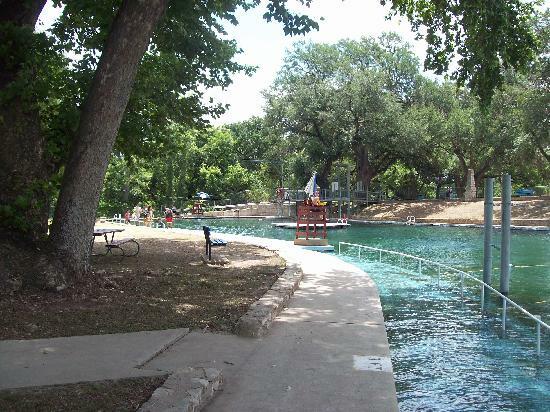 The river is known as the shortest river in America. It's source is an underground spring. The amount of water that comes out of that opening is staggering. 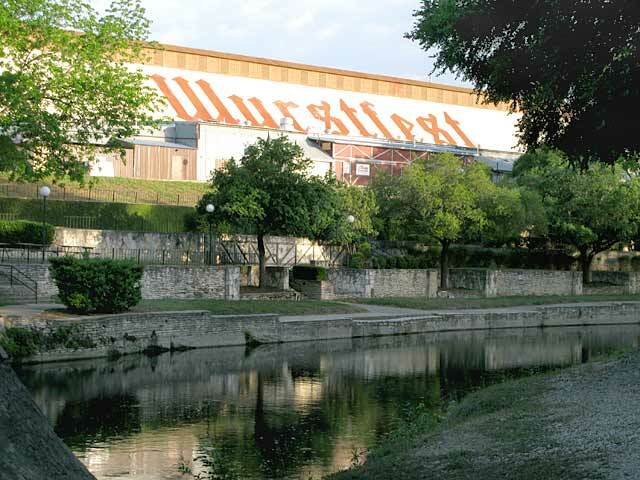 Our site is right across from the Wurst Festival Hall. In the summer this place is hopping. 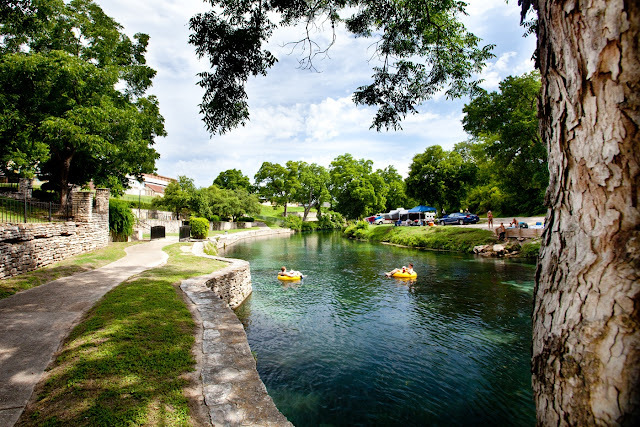 Right now the German settlement famous for beer, brats, and tubing the Comal and Guadalupe Rivers is pretty quiet. That is of course, with the exception of the train that traverses the park overhead. 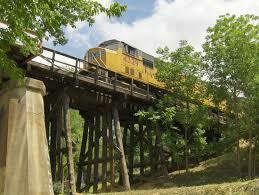 A freight train has crossed over no less than once an hour for the entire time we were there. Interestingly enough the noise was not an issue The train bridge has high side walls and inside of the camper it was simply a lullaby. Full hookups and all this for $18 a night. It doesn't get much better.